I feel like I am in a fog… a newborn fog that is. Those of you who have endured the dirty diapers, sleepless nights, and spit-up-on-your-freshly-washed-shirt-days get it. The fog is real. If I leave my kids to go to work, I feel guilty. If I don’t have enough time to finish that one task for work before the day is done, I feel guilty. And Sundays are the hardest. What used to be the most rewarding day out of the week is now the most stressful. My husband and I do music ministry together so that means we get the kids up at the crack of dawn and haul the entire family to church. I call my kids “rehearsal babies” because they are always with us. Lately, I feel as if my head is in two places at once because I am trying to “work” and “mom” at the same time. A few Sundays ago, I had to stop rehearsal so I could feed my infant. Talk about MOM GUILT. But the most beautiful thing about it all? My kids are going to grow up seeing their mom do what she is passionate about, and more importantly what God has called her to. My teams are going to see that taking a break to feed your baby is okay. Family is important and can go hand-in-hand with ministry. My church-planting organization is going to learn for the first time how to come alongside a pregnant pastor on staff by providing maternity leave support. So the next time you feel like you are going to fall over from exhaustion or lose your cool with your toddler, know that God has you. Know that you have other women who are rooting you on and that you are not alone in the struggle. Know that this work/home balance thing doesn’t have to be solved overnight. Know that this fog is just a season. One step at a time. You got this, mama. Ashley Beckford is the Associate Pastor at Unite Church in Pasadena, CA, where she leads worship and oversees all creative. 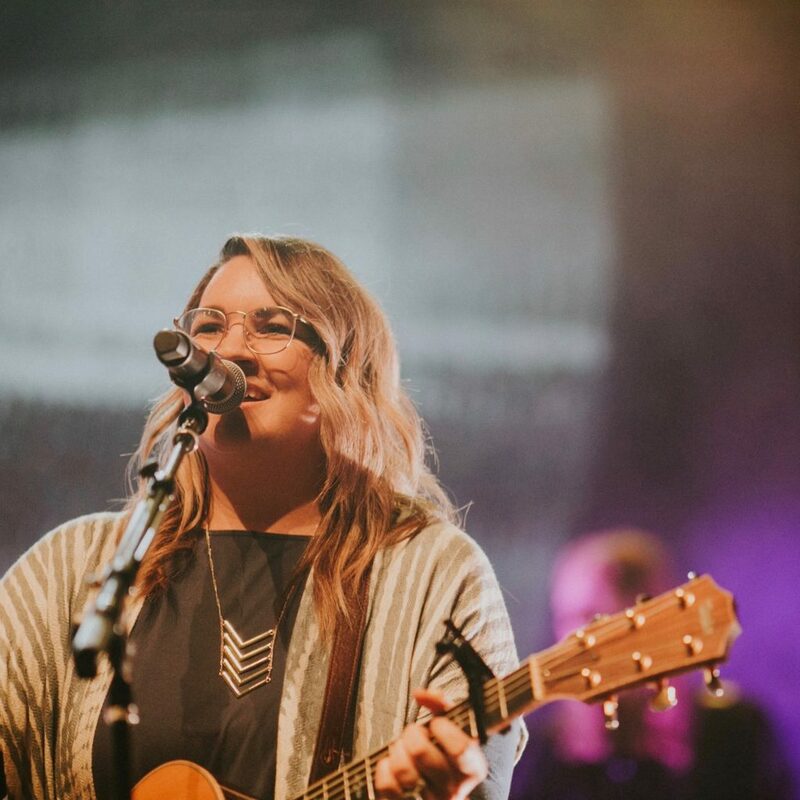 She recently founded Unite Collective, a community of musically-gifted artists, worship leaders, musicians and creatives from Unite and its extended family, that strive to create resources for the church. A gifted leader and songwriter, she loves to develop people, especially other women in worship. Ashley is on the She Leads team as the ministry lead to worship and creative leaders. She loves spending time with her family and traveling!